Memorandum of Understanding (MoU) between Pondicherry University and the South Asia Foundation (“SAF”), for the establishment of Madanjeet Singh Institute of South Asia Regional Cooperation (MISARC) at Pondicherry University. sets forth the agreements reached between the parties relating to the establishment and implementation of the Madanjeet Singh Institute for South Asia Regional Cooperation (MISARC), which is drawn up for submission and approval of SAF Governing Council at its Annual Meeting in November 2009. The MISARC shall be established at Pondicherry University with the support of South Asia Foundation (SAF), with the objectives of promoting regional cooperation through South Asian Studies as well as South Asian Cultural Cooperation, assigning equal weight to both Academic as well as Cultural activities. The Institute shall offer Masters and Diploma Courses in South Asian Studies and cultural subjects and will also conduct research in areas of relevance to South Asian Countries. The University shall provide a full permanent faculty of one Professor (Director), two Associate Professors and 3-Assistant Professors, from the funds provided by the UGC. 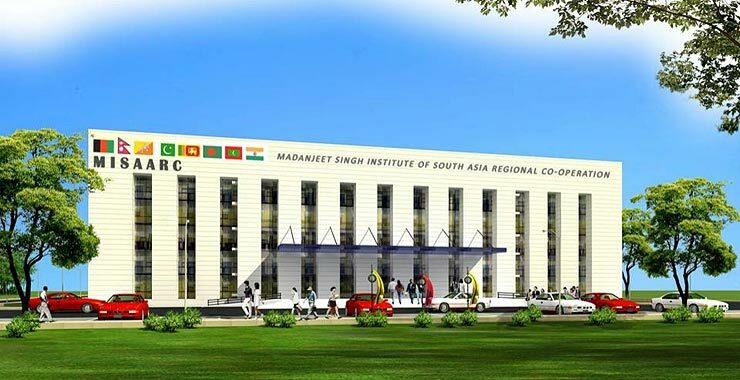 The Institute will offer at least 16 fully paid Madanjeet Singh Group Scholarships, including travel, board and lodging and tuition fees, to South Asian students, based on gender equality, two from each of the eight SAARC countries - Afghanistan, Bangladesh, Bhutan, India, Maldives, Nepal, Pakistan and Sri Lanka. Besides, courses on technology oriented programmes, as in Electronic Media, Information Technology, Bio-technology etc., MISARC shall strengthen pluralistic culture through mass communication methods and organise courses on cultural interaction in various fields of performing arts, documentary films, painting, literature and poetry. Subject to the availability of funds, a number of Visiting Research Fellowship shall be offered to Ph.Dstudents from SAARC countries for data collection, consultations and field study at any of the Central Universities of India for a maximum period of six months. The fellowship shall cover economy-class travel by Air/Rail and Rs. 20,000/- per month and a one time contingency grant of Rs. 10, 000/- to meet the living expenses. The University shall develop a leading library specializing in South Asian Studies as well as on cultural subjects of arts and literature. It shall use the latest technology such as DELNET library network to link up with the other major libraries in India including SAFDIC at the SAF-India office, New Delhi. MISARC shall have two parallel approaches to achieve its cardinal objective of regional cooperation - one through academic studies and the second through cultural activities. A multi-dimensional approach shall create a hub of scholars that specialize in South Asian studies in SAARC and other countries, and at the same time promote international cultural convergence of talented writers, musicians, dancers, painters, film makers and other art practitioners. The Advisory Council shall be responsible for giving direction to the functioning of the institute. The Director, in consultation with the Vice Chancellor, shall convene the Advisory Council meeting at least once in a year. He shall present the Annual Report, the Audited Accounts, and also present the next year’s budget and activity plan for the approval of the Governing Council. The Director shall be responsible for the entire functioning of the institute and all its academic and extracurricular activities including coordination of courses, fellowships and pubic relations. Staff of the Institute shall be appointed by the Vice Chancellor as per UGC norms and the expenditure in this regard will be jointly funded by UGC and the SAF’s Annual grant. SAF undertakes to contribute US $ 1,000,000/- (one million US dollars) towards the establishment and operation of the Institute spread over a period of five years. The first instalment of the aforesaid contribution should not be less than US$ 200,000/- (two hundred thousand US dollars). It will be paid by SAF into an exclusive bank account operated only by the Finance Officer of Pondicherry University. All expenditure shall be through proper approvals and sanctions of competent authorities. The interest earned on the funds shall be used only on the activities of the institute and shall not be diverted to any other activity. All sanctions of expenditure after approval of budget by the Advisory Counciland the Executive Council of University shall be through the usual procedures adopted by the University as per University rules. Fellowships, tenure jobs and all expenditure of recurring and non-recurring nature shall be met either by Pondicherry University from UGC grant or from the US$ one million allocated by SAF over the five year period. 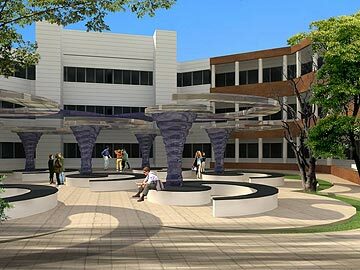 The university shall construct a building exclusively for the Institute (MISARC), for which SAF Founder Ambassador Madanjeet Singh shall contribute an amount of US$ 5,00,000/- (five hundred thousand US dollars) from his personal account, and the remaining cost shall be funded by Pondicherry University . Before receiving due payments of subsequent instalment of funds, MISARC shall submit an annual Audit report and a progress report of the Institute to the SAF Trustees. It is stipulated that SAF shall discontinue funding MISARC in case the Institute fails to fully comply with SAF’s cardinal objective of promoting regional cooperation as specified in this MoU. 2. Permanent faculty:1 Professor, 2 Associate Professors, 3 Asst Professors. 3. Campus accommodation to the students and the visiting faculty. 4. Internet, Library, on-line journal access, Sports, Media resources, Medical Facility. 5. 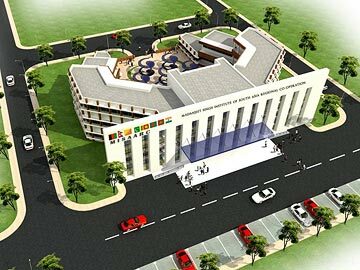 The Difference in the cost of the building proposed to be constructed over and above the contribution of SAF Foundation. 6. Any other logistic support needed from time to time. 7. Academic, Administrative & support staff to the extent required, as in para 4 above. This MoU shall become effective on the date upon which the parties append their signatures to it. It shall be the responsibility of the University that this MoU is subject to examination by the Authorities of the University and of the relevant laws of the land and its confirmation that it has obtained all the requisite approval necessary, including the FCRA, if deemed necessary and or that it is exempt from any such approval. The terms of the MoU may be modified, if and when required, by the consent of the parties. Either party shall be entitled to terminate this MoUby providing the other party with three calendar months advance notice. The termination of this MoU, for whatever reason, will not affect the rights of a party, which may have accrued as at the date of termination and will further not affect any rights, which specifically or by their nature survive the termination of this MoU. This MoU, on the day it becomes effective, supersedes the earlier MoU signed on 30th September, 2008, between the SAF-India and the Pondicherry University on the “SAF Madanjeet Singh Group Scholarship Scheme” as the Group Scholarship Scheme gets integrated in the present MoU. In agreement of the above objectives and terms and conditions, this Memorandum of Understanding is hereby signed by the below mentioned parties on this 20th day of June, 2009. Chairman, South Asia Foundation-India Chapter. Founder, South Asia Foundation (SAF).